Wow!! It’s too cute!! Your dearest one will love this gift for it is packed with so much of love and affection. Any day of celebration will turn to be the memorable one if you can present this gift to someone dear to you. 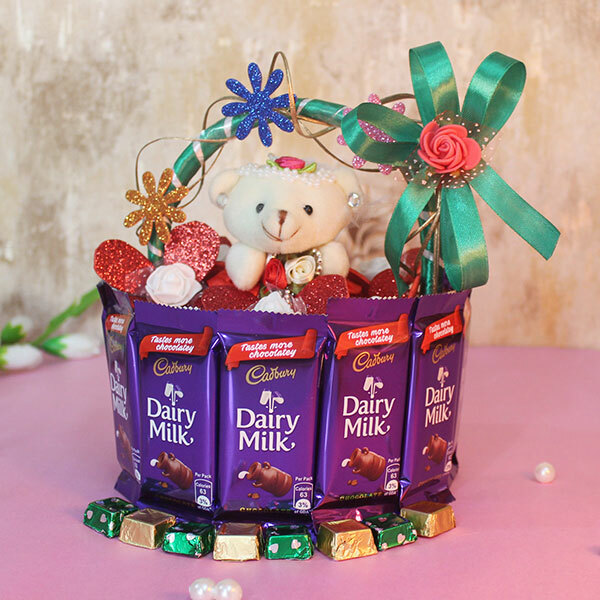 Get this sweet and delighting love-laden basket now!! I was actually confused between chocolates and teddy bear. but Thanks to Giftalove, They made it easy with this hamper. Happy with your product & services.